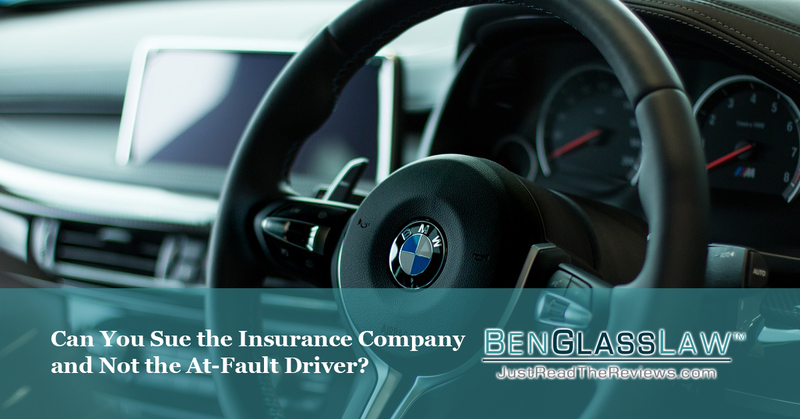 Can You Sue the Insurance Company and Not the At-Fault Driver? People often call our office after a Virginia car accident claim and they ask me how they can get insurance money from the defendant without suing them personally. Stated another way, they don't seek to ruin the defendant's life, they just want to be compensated for the injury. Who Do You Sue in a Car Accident? Under Virginia law, when you're seeking to obtain insurance money from a defendant who caused your injuries, you have to sue them directly. Also, under Virginia insurance law, their insurance company will then provide them a defense and be liable for any judgment against that defendant up to the amount of insurance that that defendant purchased. If you're unable to settle your claim with the defendant's insurance carrier, by law then you must file suit against the defendant. Can a Lawsuit "Ruin" a Person's Life? Also, don't feel like your lawsuit should be taken as a personal vendetta against the defendant. All you're seeking to do is to be compensated fairly for the injuries caused by their negligence. In reality, what you're doing is making an insurance claim pursuant to Virginia's complex insurance law. If you have questions about your Virginia auto accident case, you can download a FREE copy of Ben Glass's book, 5 Deadly Sins that can Wreck Your Injury Claim from our website. You can also contact BenGlassLaw at (703) 584-7277 or by filling out a contact form at JustAskBenGlass.com. Representation in jurisdictions where we are not already licensed is performed in conjunction with local counsel–at no additional legal fees to the client–and with permission of the court.